Fewer than 25 percent of businesses express satisfaction with their conversion rates. That’s pretty depressing. Conversion rate optimization (CRO) doesn’t improve your conversion rates overnight, but it sets you up for success. Part of CRO involves optimizing your calls to action for conversions. How is the best call to action for conversions? There’s no single call-to-action formula that can magically convince most of your leads to convert, but if you’re willing to get to know your audience, experience with different CTAs, and test variations, you’ll get closer to the conversion rates you want. Why Do You Need Good Calls to Action? How Where Do You Put your CTA? In digital marketing, though, CTAs typically contain hyperlinks. They take the reader to the specific destination that you’re promoting. You’ll see one when you visit the Crazy Egg homepage. 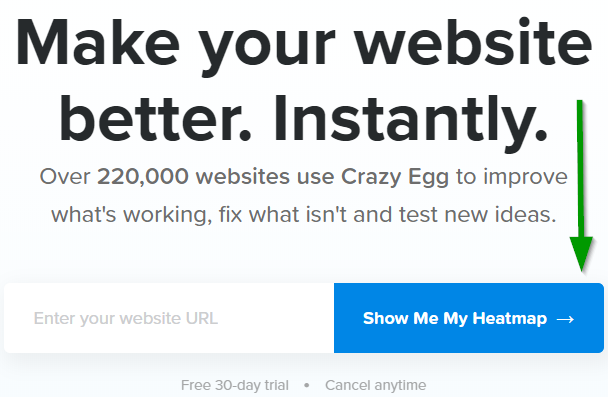 When you enter your website URL, we’ll ask you to sign up for an account with Crazy Egg. The conversion process begins. A CTA can also take you to a sales page, landing page, blog post, newsletter signup form, or anything else you want to promote. Just make sure you convey value through the language and imagery you choose. Calls to action work, at least in part, due to perceptual set theory. It’s a psychological theory that describes how the human brain selects, infers, and interprets information. People pay attention to things that interest them. It’s why images and visuals have become so important for marketers. We also make inferences based on past experiences. If you’ve always generated $100,000 in revenue every week, you expect to do the same next week. Should the figure drop to $50,000, you’d assume something was wrong. Finally, we interpret information. Based on our senses and inferences, we decide how to proceed. Most people see lots of CTAs every day, especially if they spend lots of time on the Internet. You recognize a Sign Up button, for instance, because you’re used to it and you know what it means. Average AdWords click-through rates (CTR) hover at about 2 percent. That’s far less than the nearly 3.5 percent CTR you can get with a call to action. That doesn’t mean any old CTA will produce tremendous conversions, though. 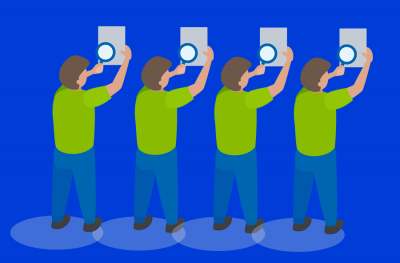 You need to pick the right calls to action — CTAs that inspire action, excitement, and trust. 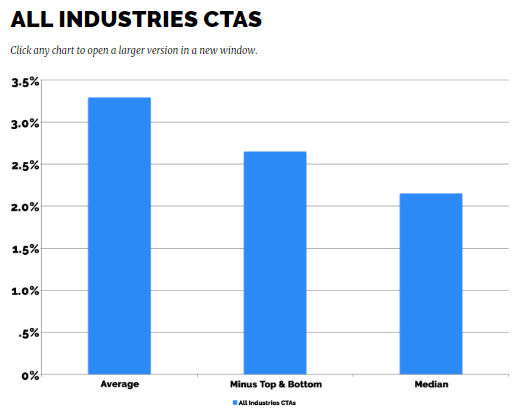 According to Leighton Interactive technical marketing director Travis McGinnis, “CTAs perform better than AdWords.” He analyzed CTA performance based on click-through rates across all industries. A CTA button consists of text with a button background. The button itself can be any color or shape you want. You can add a drop shadow and other effects to make it stand out more. CTA buttons are extremely flexible. 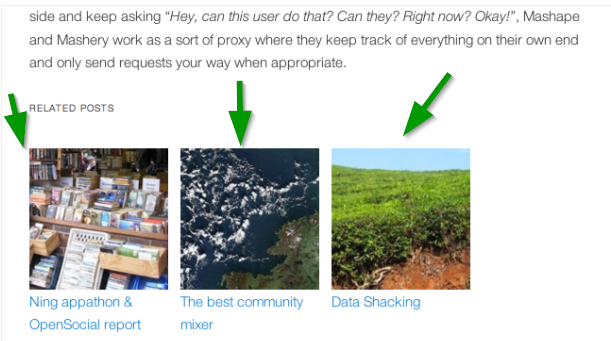 You can put them anywhere on your site and change the call-to-action text however you like. The call to action also works well for lead generation. When you want a way to get in touch with a prospect, you can ask for their contact information. In most cases, this means offer a lead magnet in exchange for something of value, such as a free tool or report. You’ll notice that the CTA itself echoes the headline above it. 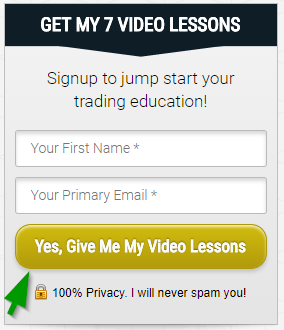 That reinforces the value of what Tim’s offering: 7 free video lessons. Additionally, the CTA sits on a gold background, which is unique to every other element on the page. Your call to action will jump out more at your visitors if it draws attention. Above, I mentioned that perceptual set theory first requires interest and attention. 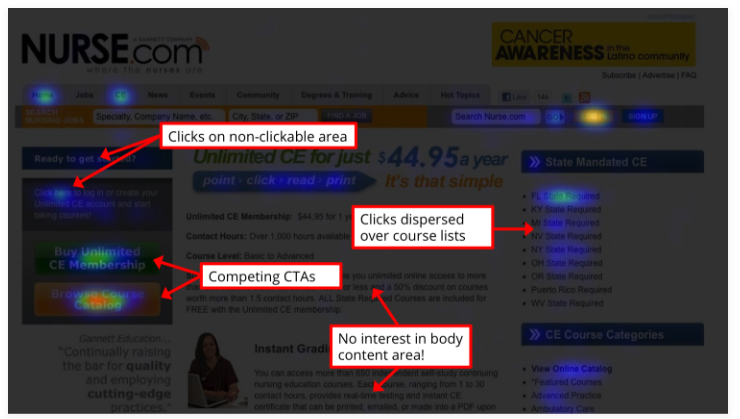 If a website visitor never realizes you have a CTA on the page, you won’t get any conversions. Many CTAs come at the end of forms. Whether you’re asking your customers to sign up for your email list, fill in their credit card information, or provide feedback, you want people to fill in the form fields, then click the CTA button to submit. 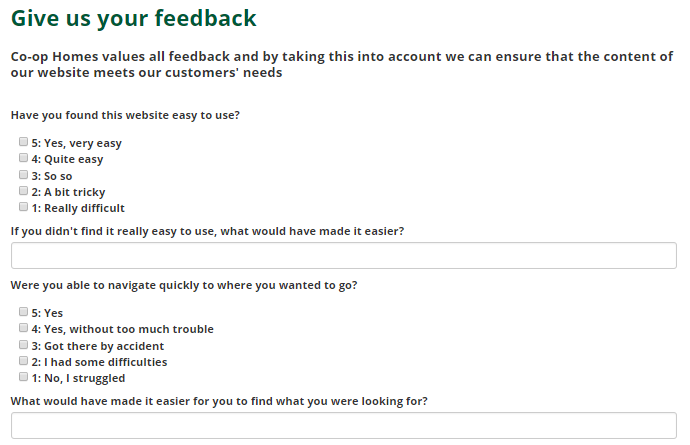 Co-Op Homes has a form on its website that solicits feedback from customers. If you want more people to fill out your form, consider using a more incentive CTA. You could use “I’m ready to send my feedback” or “This is what I think!” You could also make the CTA button larger than the one shown here so it’s easy to find on the page. When readers reach the end of your blog posts, you don’t want them to simply click away. 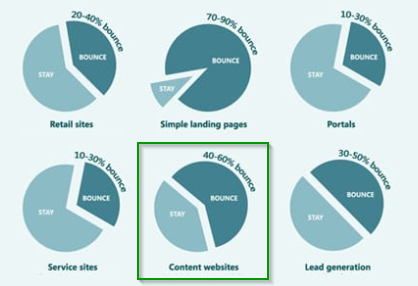 Unfortunately, content websites, such as blogs, have an average bounce rate of about 50 percent. You can make your blog “stickier” by including a CTA at the end. When you reach the end of a Crazy Egg blog post, for instance, you’ll see a CTA to sign up for our newsletter. We also show related posts to encourage people to stick around and check out the rest of our content. You can do the same with a plugin like WordPress Related Posts. It automatically adds the code to your website so that similar posts will show up for your readers. You can use CSS and HTML to style it however you want. If you’re not familiar with either coding language, use a site like Fiverr.com to hire a professional to do it for you. 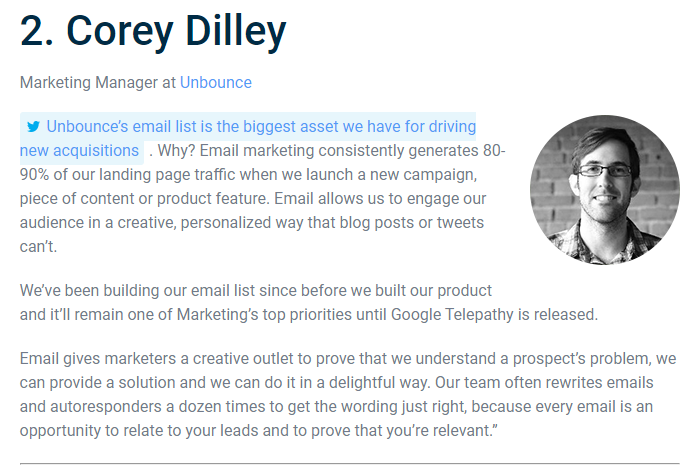 In an interview for Campaign Monitor, former Unbounce marketing manager Corey Dilley said, “Unbounce’s email list is the biggest asset we have for driving new acquisitions.” Several other people interviewed for the article, including myself, expressed similar opinions. Adding more newsletter signup forms and CTAs to your website can help you grow your email list faster. For instance, in addition to putting a signup form in your sidebar, you could add one to an exit popup. Give people who might otherwise leave your website a last chance to sign up for your newsletter and become leads. An exit popup takes only a few seconds to create if you’re a Hello Bar subscriber, and you can adjust your wording and CTA for different pages on your site. Sliders and other modals can work, too. Just make sure you’re not too aggressive with your popups. If you irritate your visitors, they might leave right away. Think of creating a call to action as a marathon instead of a sprint. You might not get it right the first time (or the tenth), but you’ll eventually hit the mark. 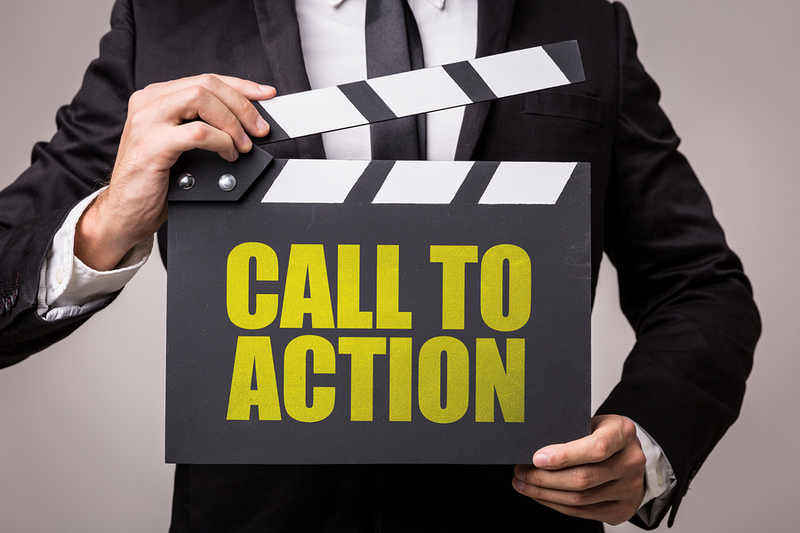 Let’s look at the steps needed to create the best call to action for conversions. Keep repeating the steps until you’re happy with your conversion rates. The worst thing you can do with a CTA is include multiple commands. 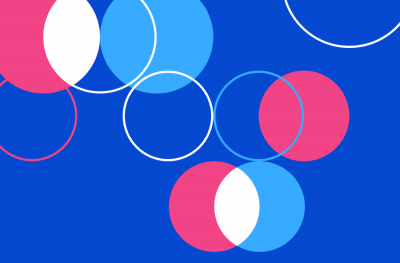 Your call to action should ask the user to complete one thing — not several. One CTA can’t ask users to sign up for your email list and view your latest blog post. One button can’t manage both tasks, so you’ll just confuse your visitors. Additionally, resist the urge to cram your website pages full of CTAs. You might have multiple calls to action on a single page, but you don’t want them to conflict with each other. 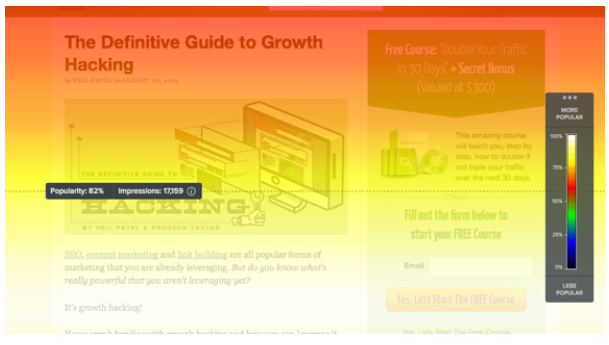 Consider examining heatmaps of your pages to see where the hot points lie. Put CTAs there to maximize visibility. You’ll also learn whether you have bottlenecks on the page, such as competing CTAs. The last thing you want your website visitor to do after reading your CTA is scratch his or her head. A strong, clear call to action lets the reader know exactly what you’ll want and why he or she should do it. If you’re persuasive enough, conversions will increase. The first one is fine. You see it all over the Internet. The second, though, is more persuasive. It suggests exclusivity, which can win over prospects, and it uses unique words. There’s a reason why stores advertise limited-time sales. People respond by buying. The second one adds a sense of urgency to the transaction. With the first CTA, the user knows he or she can return at a later date and claim the freebie. The second lets the prospect know that the countdown timer is ticking. Just make sure you never create false urgency. If you use the second CTA, make sure it’s not still there 72 hours later. That’s a good way to make consumers feel cheated and manipulated. The words “I” and “You” are two of the most powerful words you can incorporate into your CTA. They make the process personal. 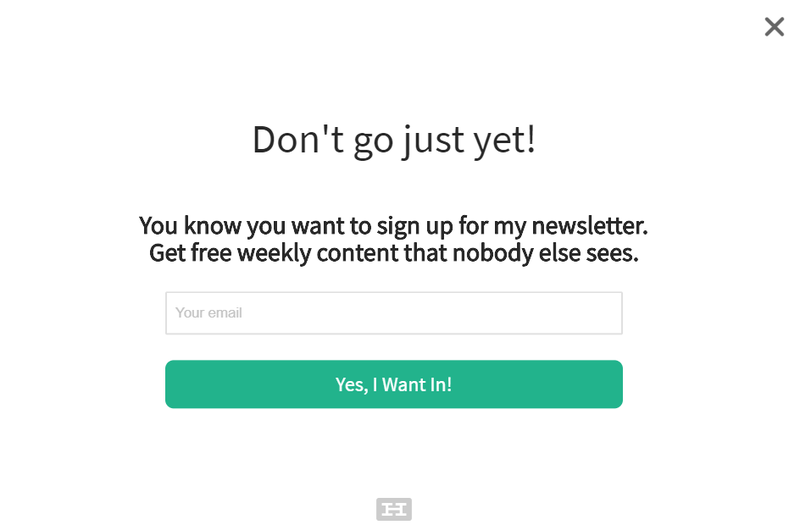 Writer Jeff Goins uses both words on his homepage to encourage email signups. Notice the wording on the call to action: “Send me it!” It doesn’t just say “Send.” It uses the reader’s own voice. Friction words can be hard to spot, but they’re also conversion killers. When they sneak into your copy, you risk losing valuable prospects. Friction words suggest something the user must give up. In other words, it makes the CTA sound like work. Common friction words include buy, submit, sign up, complete, and invest. Each word communicates to the website visitor that he or she must sacrifice something to reach the desired goal. Does this mean you can never use a friction word? No, but if you can find a better word, consider using it. Jeff Goins could have used a CTA phrase like “Sign me up!” on his page. Instead, he used “Send me it!” That implies he’s doing the work — the consumer just has to receive. Not all CTAs sit on top of buttons. In fact, links sometimes work better, especially in email marketing. 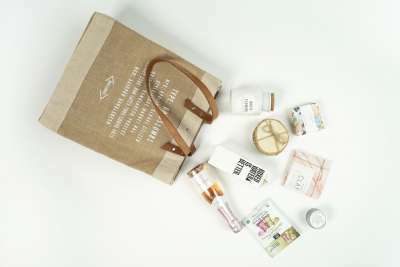 When you’re running an email marketing campaign, you want high deliverability. Otherwise, your emails might land in Gmail’s or another email client’s “Promotions” or “Ads” tabs. As I discuss in this video below, adding images and video to your emails reduces their deliverability. Consequently, you’re better off using plain text as your anchor text for a CTA link. You’ll also learn more about how to make email marketing more effective, from gathering emails to converting subscribers. Test both plain text and image-related CTAs across all channels. You might find that your audience responds better to buttons than text or vice versa. CTA location matters because you want people to not only see it, but pay attention to it. That’s where scroll maps come in. A scroll map shows you where on the page that a user often stops scrolling before clicking away. This is a good place to put your CTA because it’s more likely to be seen. A/B testing is the only way to know for sure, though. Use your scroll map to make an educated guess, then start A/B tests through Crazy Egg to figure out what placement yields the best conversions. You can also run subsequent tests for other variations on layout. In addition to testing CTA placement, consider the actual call to action text and imagery. Running tests will help you decide which one produces the best results. Just don’t run them concurrently with your placement tests. A/B testing works best when you’re only testing one variable. If you test more than one, you won’t know which variable contributed to the differences in conversions or whatever metric you’re tracking. However, more inventive CTAs can sometimes generate more interest. Plus, we’ve already talked about friction words that can turn off consumers even before they consider your offer. The first example I want to point to is marketing expert Seth Godin’s. However, I actually like his lead-in headline more than his CTA. The phrasing I love is, “Because your work matters.” The CTA, “Subscribe to my blog,” is more generic, but taken together, the two phrases work. They communicate that Seth Godin’s email newsletter is all about celebrating your work and making it better. The color choices are unique. They’re very similar, so they complement one another, and the white text is clean and easy to read. 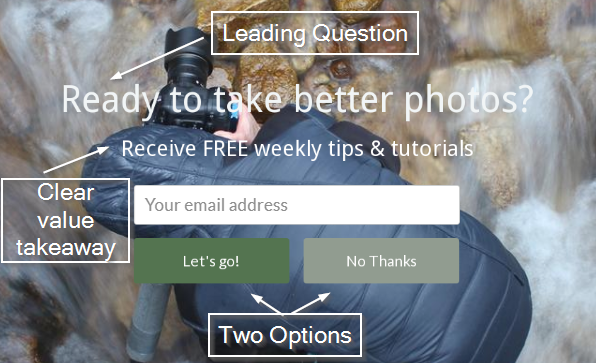 Finally, I want to show you a great CTA from Digital Photography School. The headline offers a leading question, while the body copy tells the user exactly what he or she will get out of filling out the form. You’ll notice that there’s no exclamation point after “No Thanks.” That’s subtle but effective. Additionally, “Let’s Go” is rendered on a colorful background, which makes it draw attention to itself. The negative answer blends into the rest of the image. Use clear, strong, persuasive language. Try not to use friction words. 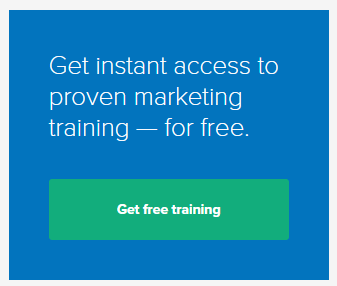 Run A/B tests on your call to action and its placement on the page. If you follow those general guidelines, you’ll set yourself up for success in generating conversions through calls to action. Remember: A CTA’s single job is to convince the visitor to do what you want. It doesn’t need to be fancy or clever, but it should communicate value and use unexpected language. Think about your brand voice and culture. Let your call to action reflect both. And don’t forget to test. Keep running tests even after you’ve improved your conversion rates. As your business changes and evolves, you’ll have to communicate with your audience in new ways.